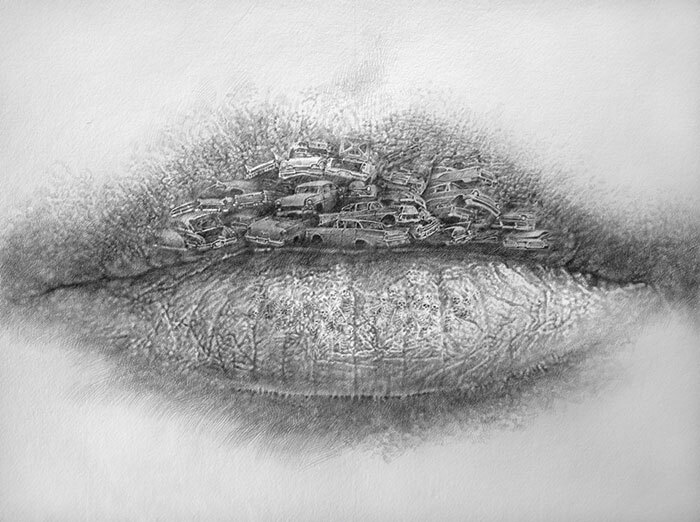 New series of surreal lip illustrations by Switzerland-based artist Christo Dagorov. 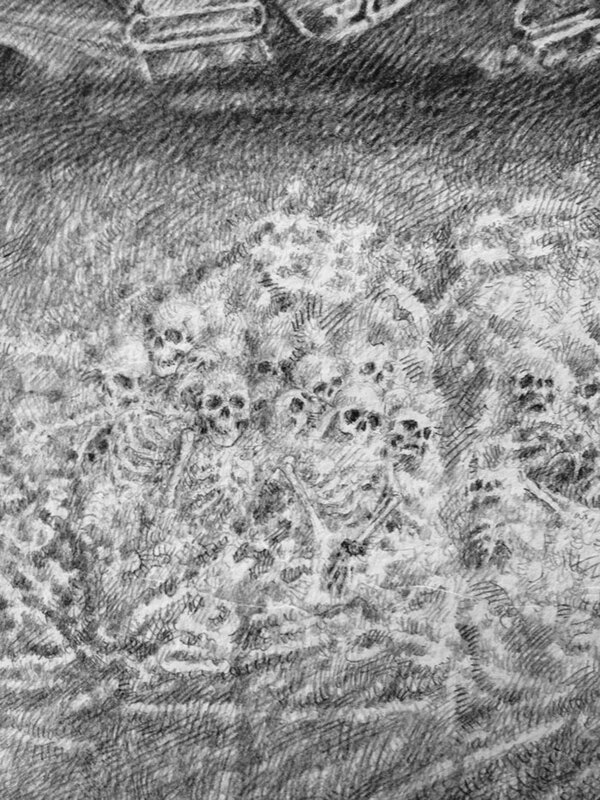 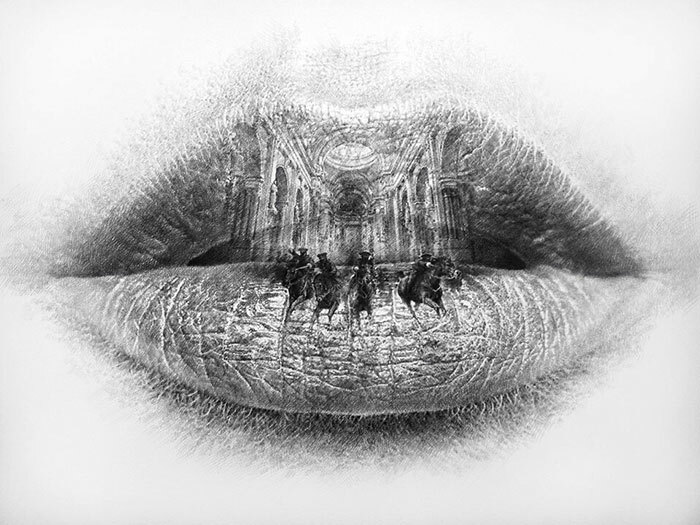 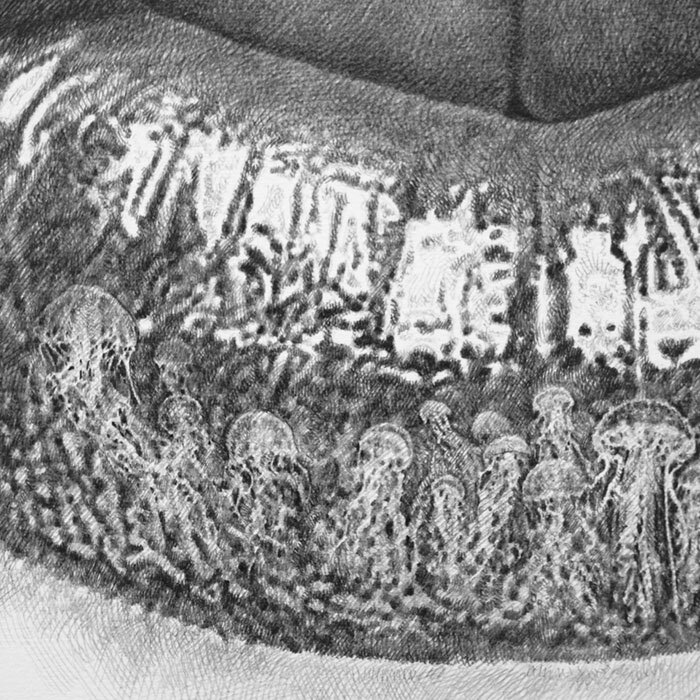 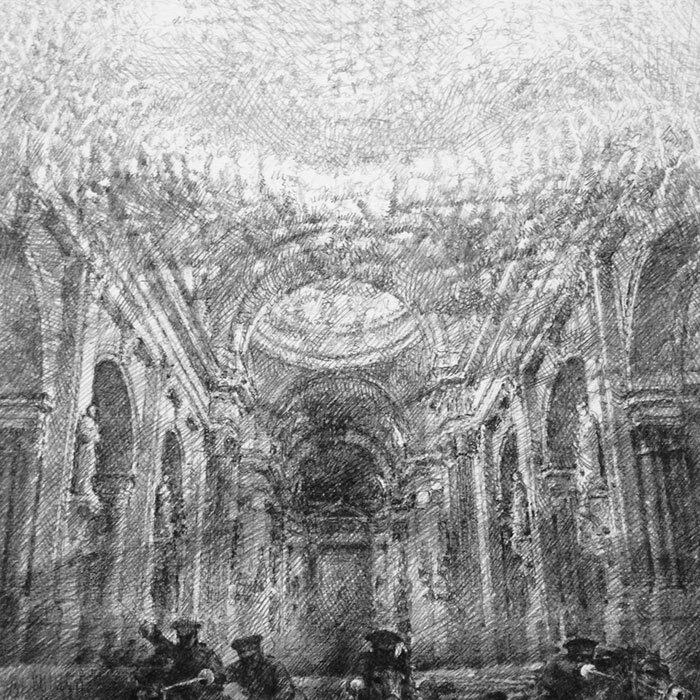 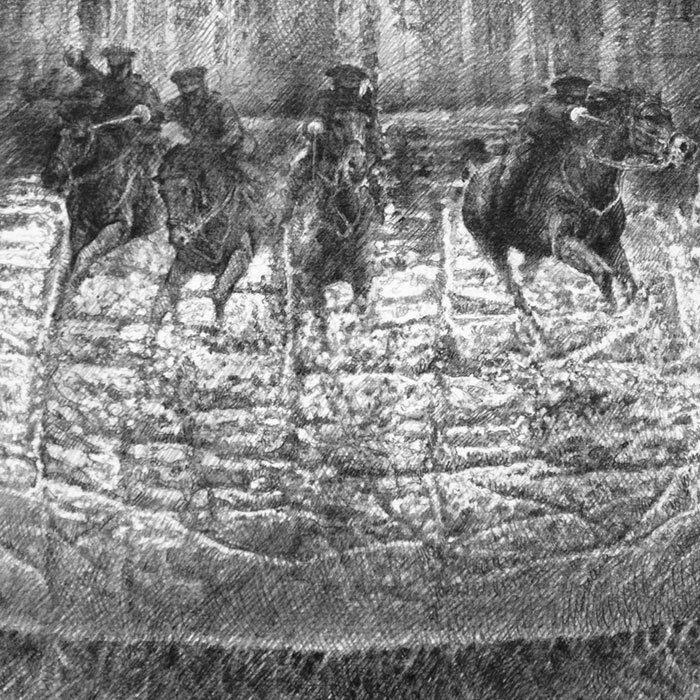 The monochromatic pencil drawings blend the lips with various images such as snakes, jellyfishes, skeletons, and a cavalry inside a church interior. 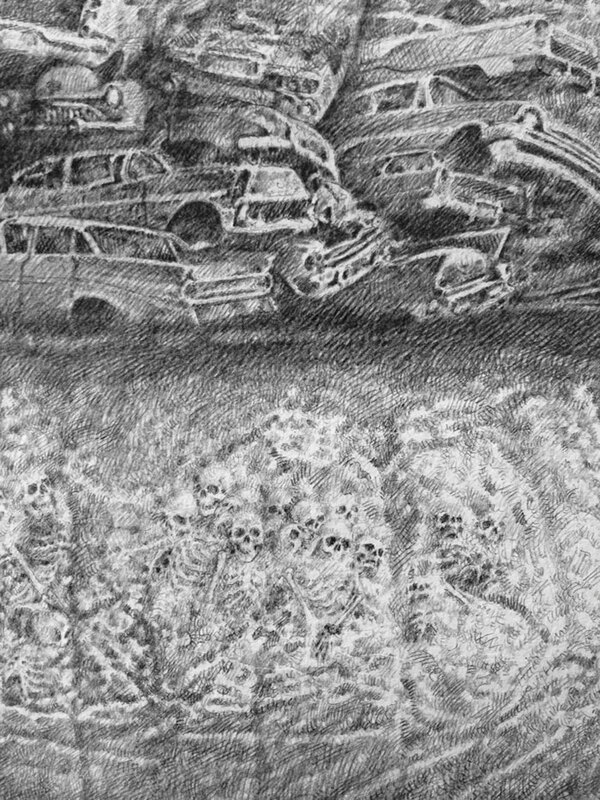 The images contradict each other which makes them visually interesting as I'm sure there's a meaning behind the symbolism. 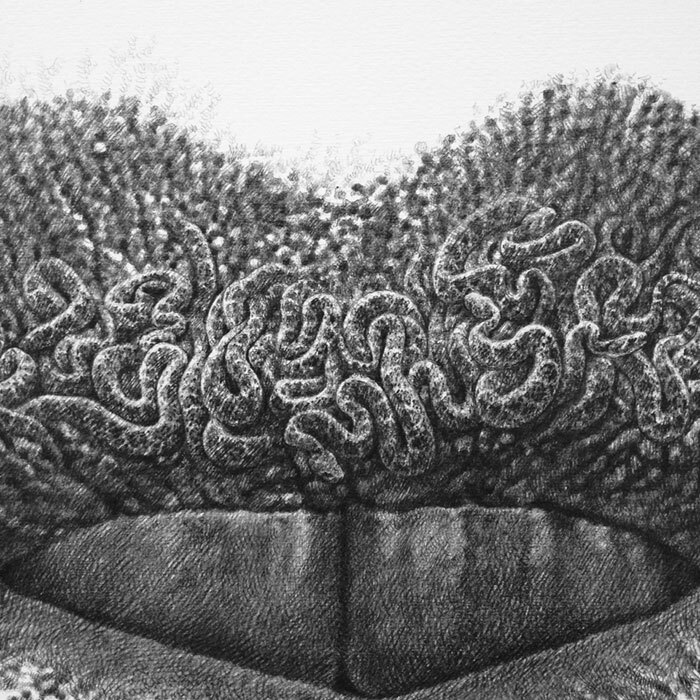 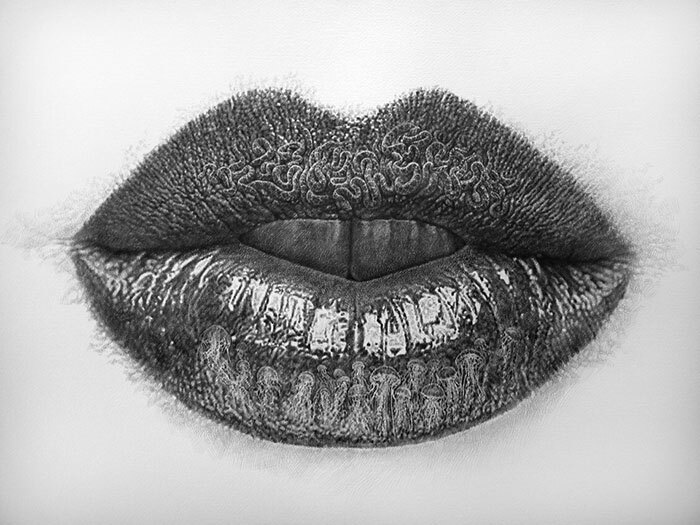 New series of surreal lip illustrations.